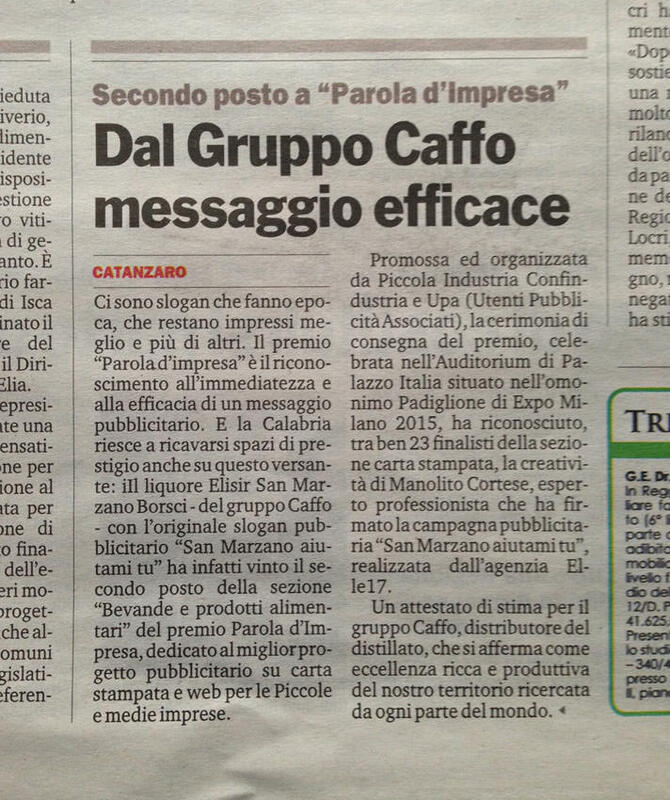 We never thought it would help us achieve second place in the Food and Beverage section at the "Parola d’Impresa” (“Enterprise Word") competition, an award for the best advertisement on print media and the web for small and medium-sized enterprises organised by Piccola Industria Confindustria and UPA (associated advertising users) last October at the Auditorium of Palazzo Italy at the 2015 Milan Expo. 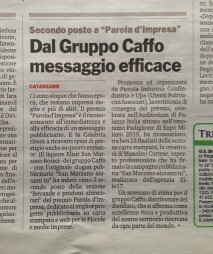 It was a sign of esteem for the Caffo group, who distribute the product and are among our most important customers, and a source of pride for an advertising agency such as Elle17, as well as recognition of the talent of Manolito Cortese, the spearhead of our agency. The merit belongs to an ironic and impelling headline that, in its immediacy and effectiveness, conceals a multitude of puns and a fun and “divine” visual created to work wonders.